You are always welcome on Audiko.net! 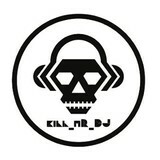 We propose to download a free Kill_mR_DJ mashups ringtones for your iPhone or mobile. Select your favorite episode from your favorite song - Lock The Logical Lion Man Out (Mumford and Sons/ Supertramp/, If I Stay Tonight, Ticket To Rude Ride (MAGIC! / Twenty One Pilots / The Carpen, or any other track. You are welcome to download your tune both in the MP3 and m4a formats, compatible with both mobile phones and iPhones. Just select a track, and choose free Kill_mR_DJ mashups ringtones download option.